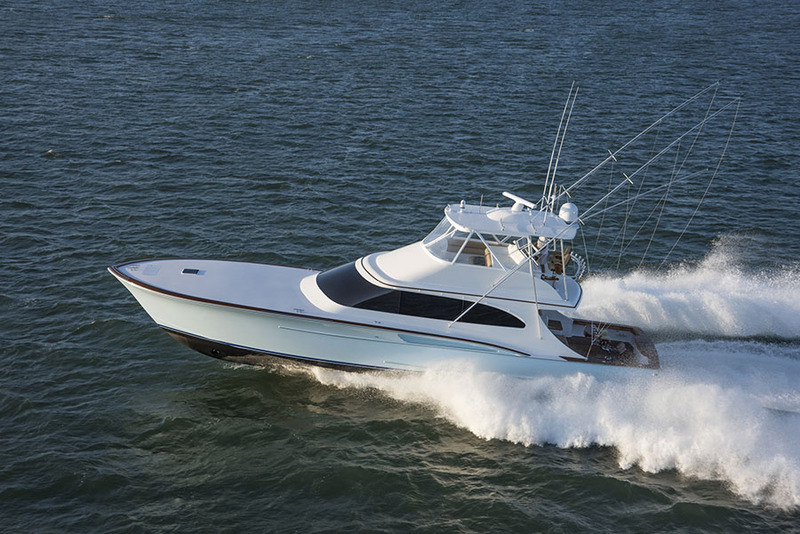 On the eve of the company’s 30th year of delivering 95+ builds, Jarrett Bay Boatworks announces the launch of their fourth custom sportfish for the Huddle family and their third generation of Builder’s Choice anglers. Jarrett Bay founder Randy Ramsey’s relationship with the Huddles dates back to 1989 when Jack Huddle first walked into the early company’s Williston, North Carolina boat shed and commissioned a 43’ flybridge with merely a handshake. 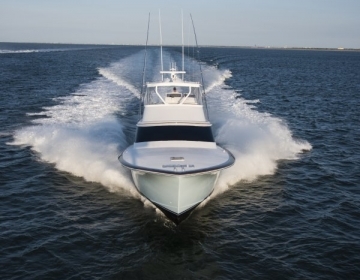 As the Huddles began to outgrow their 43’, a 48’ express and subsequent 55’ convertible were commissioned – preparing them to once again best their last with the latest 64’. 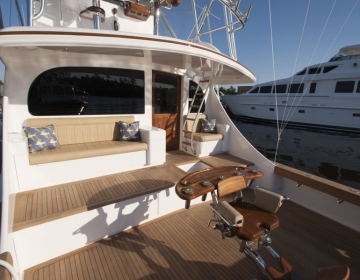 From the beautifully contrasting toe rail to the custom Bausch American hardtop, the graceful design and precise execution make Builder’s Choice a quintessential example of Jarrett Bay’s impressive construction acumen and top quality vendor partnerships. Finished in a shimmering Atlantic Blue topcoat from Alexseal, this renowned “Carolina Flare” hull form pairs advancements such as prop tunnels and underwater exhaust with the dependability of conventional shaft propulsion. Massive Caterpillar C32s with ACERT technology propel her to a top speed of 43 knots and a cruising speed in the 34-37 knot range; ensuring she is as fast and capable as she is elegantly striking. 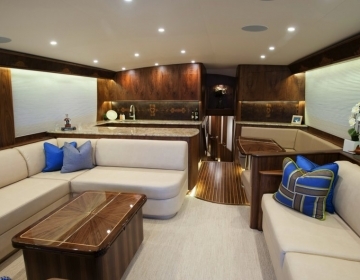 During the construction of the 64, one of the ways this close relationship was demonstrated were the multiple trips Harris made with the Jarrett Bay team to Atlantic Veneer’s mill to hand-pick the stunning black walnut accents for the interior woodwork. 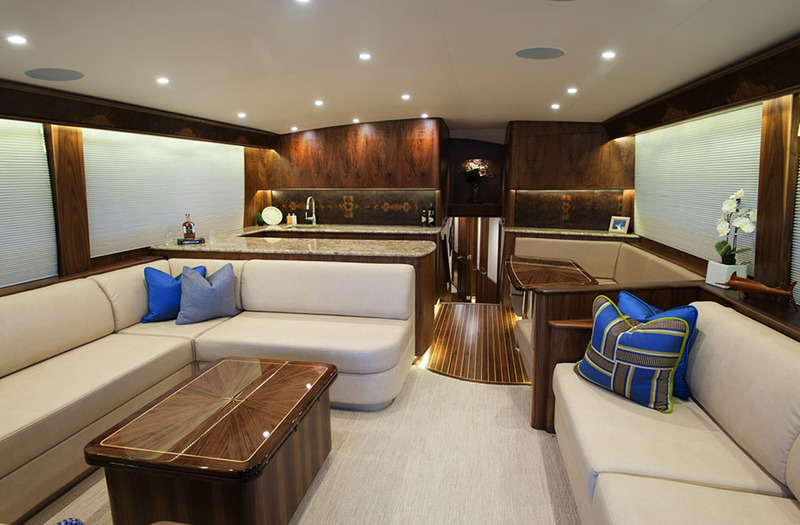 The entire Huddle family also helped with layout decisions and interior appointments such as the space maximizing Release Marine box table with pop-up leaves, custom walnut sunburst dinette with holly inlay, and the stalwart fighting and helm chairs. 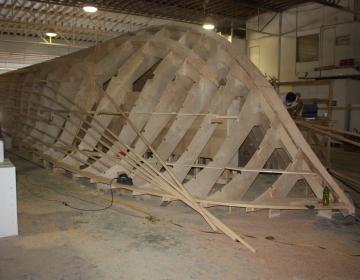 Family members also worked closely with the talented team at The Captain’s Shop on the custom bridge enclosure, as well as with the on-site team at Crystal Coast Interiors to make many of the comfortably refined interior design choices for the three stateroom, three head layout down below. The yacht’s initial shakedown cruise will be an extended trip from North Carolina to south Florida for her debut at the Fort Lauderdale International Boat Show on November 5-9, 2015. Huddle says, “After that, we’ll spend the winter based out of Palm Beach before venturing to Isla Mujeres Mexico for the early Winter/Spring sailfish bite, and then hopefully on to the Dominican Republic and eventually Bermuda. 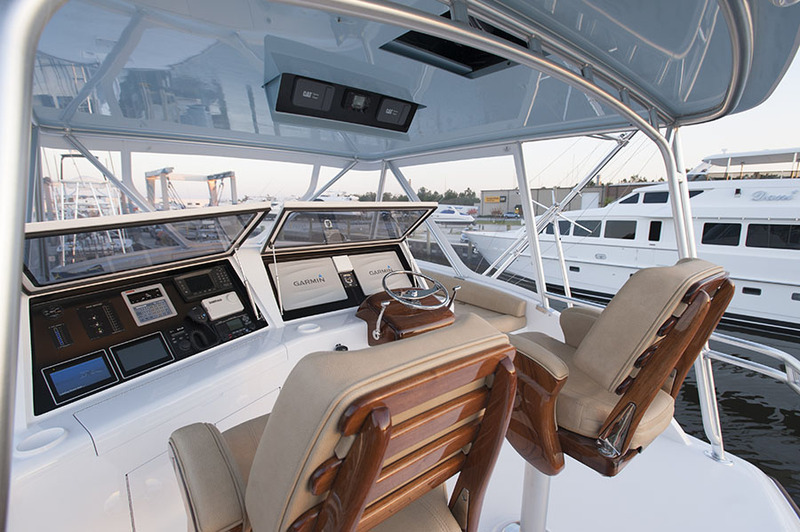 We also have visions of fishing the Pacific in the years to come.” An abundance of functional storage, redundant Cat generators and an auxiliary fuel tank are among the custom features that were built in from the start to help make these long range expeditions a reality for the Huddle family and their guests. Working with Jarrett Bay’s industry partners at Offshore Marine Electronics, Garmin, JL Audio, FLIR, Simrad, Northstar, Icom and SiTex, the Huddles assembled a navigation package designed to put them on the bite with laser-like precision, as well as enjoy modern entertainment and advanced monitoring amenities. A thoughtfully planned systems and video monitor even affords guests relaxing in the climate-controlled salon a live view of the action from the bridge. For all the craftsmen at Jarrett Bay, the Builder’s Choice is a highly functioning piece of art to be supremely proud of, and even sentimental about, as she leaves the facility for the first time. Jarrett Bay new construction foreman Gary Davis jests, “Delivering a boat we’ve worked on day in and out for years is like walking your daughter down the aisle.” But as in all quality relationships, the Jarrett Bay team knows the bride will eventually return home – perhaps often – just as the Huddle family has proven to. Builder’s Choice is among the first in a flurry of new construction activity contracted at Jarrett Bay during the economic recovery. 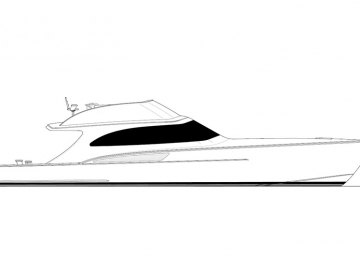 Following soon after the Builder’s Choice debut in Fort Lauderdale will be a 46′ express splashing later this year, while an in-progress 84′ and 90′ convertible are each slated for completion in 2016 and 2017, respectively.